The Optivisor is an advance eye and face protection collar specially for dogs who are recovering from eye/facial surgery, blind or needed special care for their eyes. 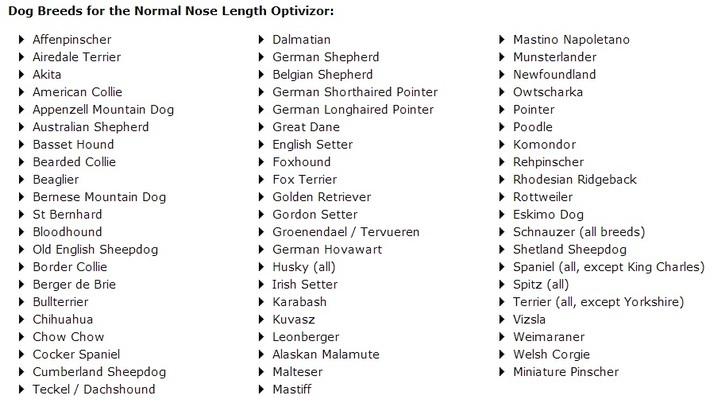 There are 3 types of Optivisor to cater to dogs of various shapes and sizes. It is great to be able to help dogs after the eye injury or facial surgery. The Optivisor protective vizor can help your pet during their rehabilitation. Blind dogs can see with their hearts and the Optivizor makes sure they can touch, bump and feel their way around without fear of injury. 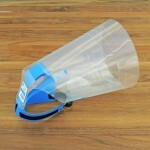 It has also made a great difference to blind dogs around the world. 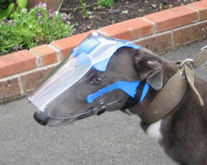 It is also available in a light blue tint for dogs suffering from Pannis or requiring medical grade protection from the sun. 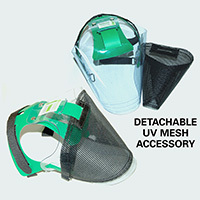 The tinted mask has a shade factor of 34% and a UV block of 92%. 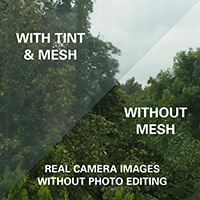 Together with the UV-resistant mesh, this allows maximum protection against light and UV-rays. The headrest has been ergonomically designed to form around the curvature of the dog’s head ensuring greater comfort and stability. The entire unit moves with the dog’s head and does not flop about. 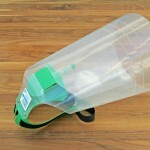 It stays clear of the face and eyes, allowing good airflow. The ears sit outside the vizor, eliminating echoes,. Yes your dog can now hear the way a dogs should hear! Not to mention no more yeast infections! 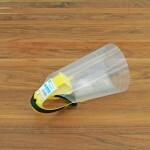 Now your special friend can safely get in and out of the doggy door. 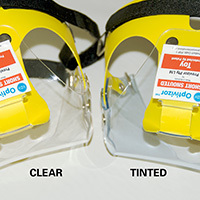 The Optivizor is made of 2mm, thick, clear, soft PVC. They are made to be durable and long lasting. 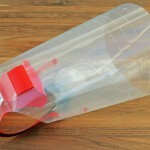 A good fit is critical for the Optivizor to function correctly and give your dog the best chance of accepting this alternative to the dreaded “Cone of Shame”. 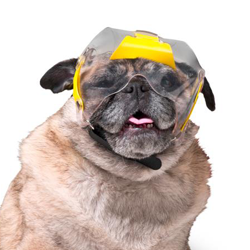 When fitting your new Optivizor, make sure the neck collar is fastened firmly, otherwise your dog is less likely to accept the collar. Depending on the temperament of your dog, you may loosen the collar slightly after the Optivizor has been accepted by your special friend. Each size is now colour coded for an easy selection. The Optivizor features a Velcro collar and chin strap for a quick fit. 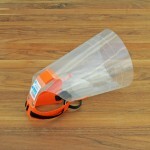 It is adjustable at the neck, sides and peel off points for length. 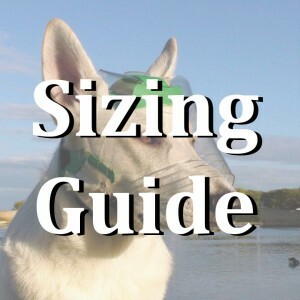 Remember to get the right size! 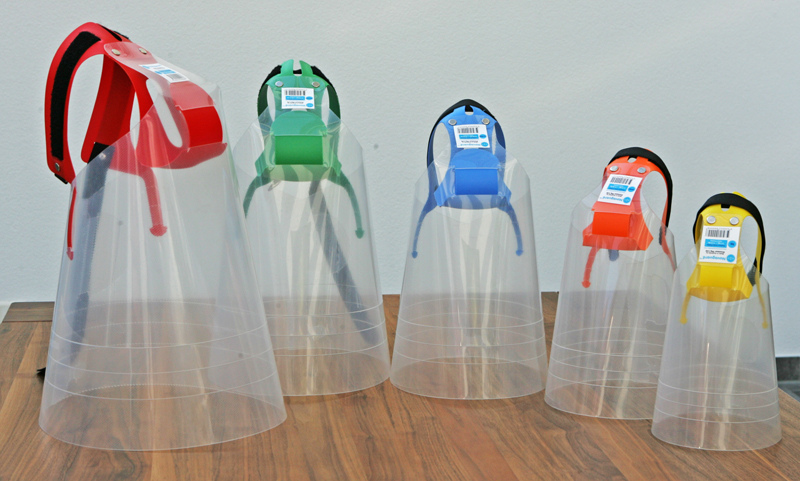 A good fit is critical for the OPTIVISOR to function correctly and to give your dog the best chance of accepting this alternative to the dreaded ‘Cone of Shame’. while recovering from injuries or surgery. Click on image above for more information. The small circumference of the Novaguard allows maximum movement for dogs even in narrow passages. allowing your dogs to be happier at rest or at play. 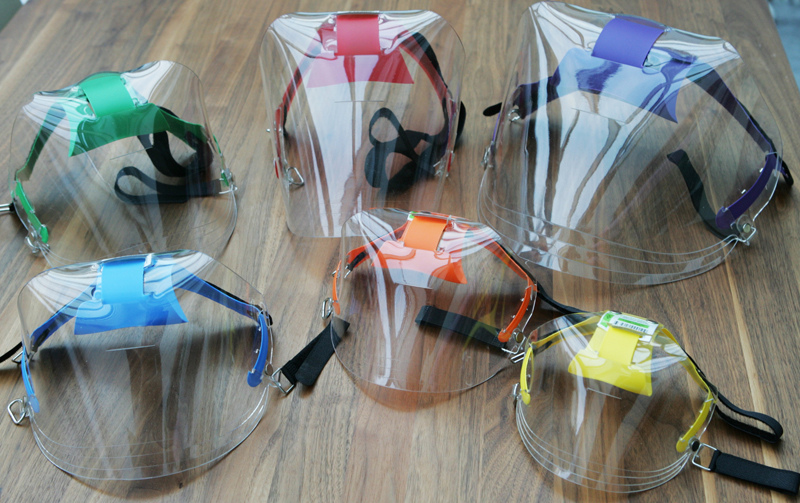 Novaguard is made from clear Polypropylene to allow full vision from the sides. 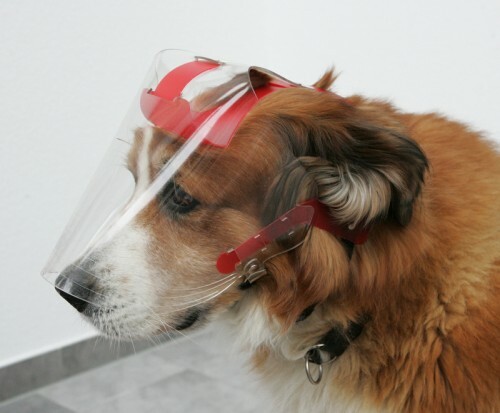 Your dog’s ears stay outside the mask, allowing them to hear clearly without echoes. This means that your dog can scratch their ears too. No more bumping into furnitures! Or my master! No more echo! I can even scratch my ears!